Many people want to quit smoking, but they do not succeed. Some repeat the fate of Mark Twain, throwing this bad habit only then to start smoking again after a while. Nicotine addiction is a serious threat to the health of the current and future generations. According to WHO, more than 5 million people die from causes related to tobacco use worldwide every year. In fact, this process requires a scientific approach, experts say. Indeed, there are ways that often help people to part with nicotine. There are also some secrets that can help to give up tobacco and significantly ease the weaning from it. The fact that smoking is bad for health is not known only by the lazy one. And if the smoker does not even know, he will certainly be reminded of this pack of cigarettes, which are shown terrible consequences of smoking. In some countries, cigarette packs even decided to stain with nauseating colors. It would seem that there are a lot of reasons to part with a bad habit. Nevertheless, every smoker has his own reason, or even a few, why he cannot quit smoking. Someone believes that in this way he relieves stress, someone is afraid of gaining weight, and some even believe that a sharp refusal to smoke is dangerous to health. Whether it’s true or myths, but in any case, the health benefits with complete quitting significantly exceed the hypothetical temporary inconveniences. There are a huge number of ways to quit smoking, some of them more effective, others less. But doctors recommend choosing the method in which the smoker is most confident and who is most suitable for him. Think which methods are most optimal for you to resist tobacco cravings. Choose the ways that you will follow the path to a healthy, smokeless lifestyle. “In one fell swoop“. About 75% of those who quit smoking do this without help. They do not address to experts, do not accept what or medicines. Despite the prevalence of the method, it can not be called fully effective. 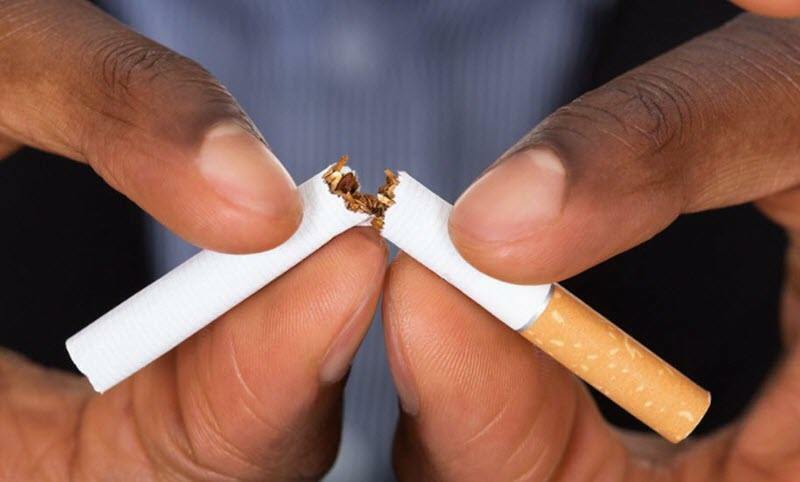 Only 4-7% of smokers can bring the matter to an end. Behavioral therapy. This method is based on active work with a specialist in cognitive-behavioral therapy (that is, with a psychologist) and a joint search for a path to a complete cessation of smoking. Together with a specialist, a smoker searches for so-called “triggers” – situations in which a person experiences a particularly acute thirst for nicotine. Then a plan is made to exclude these “triggers” from his life. Nicotine replacement therapy (NRT). We all heard about nicotine gum, patches, candies, sprays and other forms of alternative nicotine use. All this is nicotine-replacement therapy (NRT). This kind of therapy delivers nicotine to the body not through tobacco, but in another way. NRT is usually combined with behavioral therapy and serious support from relatives. In many cases, people stop smoking. But doctors say that with such therapy, nicotine dependence can remain, only its form will change. Innovative therapy. 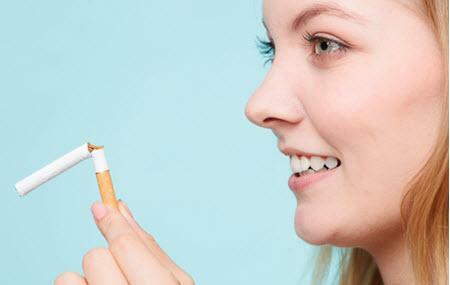 There is a modern therapy for quitting smoking, which can only be prescribed by a doctor. For example, drugs for the treatment of nicotine dependence without nicotine, which block special receptors in the brain. In this case, nicotine dependence gradually goes away, without causing a so strong withdrawal syndrome, which so frightens the person who smokes. Use prescription drugs such as Bupropion (Zyban) and varenicline (Chantix). These medications can help you cope with your hardship and withdrawal symptoms. Combined approach. Using multiple methods simultaneously can significantly increase the chances of success. For example, innovative and behavioral therapies will work better than just visiting a psychologist. But each combination must be discussed individually with the doctor. And here are a few important tips from experts. One of the main stages in the successful struggle against dependence is a clear plan of action. It is necessary to appoint a day of smoking cessation, to which the smoker is ready to give up nicotine. It is necessary to tell your friends and family about your intentions, ask them to support. If there are smokers among friends and family members, try to offer them to refuse together, so it will be easier. Be sure to get rid of spare packs of cigarettes at work, at home and in the car, and from all ashtrays. Find your “triggers” and find a way to deal with them without the help of a cigarette.